HomeLifestyleHealthPMS: Must Shop or Must Stop?! There are many things which women mostly put charge on “that time of the month”. Women’s health is in such a condition that they often suffer from uncontrollable swings of moods and sometimes a phase of depression comes along. There is nothing to worry about because such extreme symptoms do not imply worse health or diseased health. One of the health tips would be to deal every problem as it comes. A new study about the women’s health during the time of pre or post menstrual time says that they would like to do overspending and often indulge themselves in compulsive spending in this time of health. There is another research which confirms that women during such health crisis were unable to control their finances in a stable manner. It also confirms that women’s guilt conscious also became over active which could worsen their psychological health if not dealt with caution. Now, we can say through various studies confirmation that the delay women face in the onset of their menstrual cycle, their health is affected in such a way that they face less control over their irrational spending and intense emotional feelings during this phase of body’s health. This is an appropriate way to deal with body’s health condition. Good health tips allow women to let them be themselves at this time of health. They should go shopping to cheer themselves. Other women’s health tips involve getting hold of a male friend or spouse to allow women to take some rational decisions while shopping. While out of control shopping disorder must be controlled quickly. 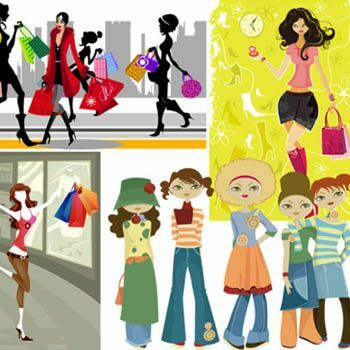 For a lot of women, shopping is a strong weapon against the pre menstrual symptoms. Women think their health can be improved in this way as they can fight back their phase of anxiety and depression in a more manageable way. Health tips involve the fact that no shopping at all can bring additional frustration and cause harm to the health. Thus, balanced shopping idea should be encouraged by partner, family or other friends if it is going out of hand. What women’s health requires is a little retail therapy. How they can overcome the shopping craziness is really through the chocolate ice-cream or a good thick bar of milk chocolate. Many health tips for women strongly recommend intake of chocolate as it can enhance the mood of many women and inculcate the rush of a happy hormone in them. Don’t Shoot: It’s David Spade!